Mercedes-Benz Club Spain is an association which has recourse to Article 22 of the Spanish Constitution and whose activities follow the Law 191 on 24 December 1964 (Association Law). The Club is formed by an increasing number of members from all over Spain who love vintage, classic and collection cars and besides own a Mercedes-Benz vehicle, which can range from old (kompresor) and classic cars (gullwings, pagodas), to heavy ones (trucks and buses), 4x4 (unimog class G, M, etc.) or modern ones (SL, SLK), cabrios, coupes or berlinas. The Club belongs to the recognized official brand clubs. Mercedes-Benz Management, following the concept of a single club per country, takes in, assesses and helps more than 80 clubs in the world. The universal distinctive feature of belonging to an official club is the ClubCard, which is identical to all club members around the world and in which you can read the member's name, his/her internal number and the name of the club which the member belongs to. The card is produced annually in Stuttgart and it is sent to their members through the different clubs. By belonging to Mercedes-Benz Club, you receive (free of charge in Spain) the magazine Mercedes Classic, which is printed in Germany in English and German. The Spanish members get the English version, unless they do not ask the opposite. In Spain, the Club has a centralized administrative head office and two reference points in Madrid and Barcelona. Madrid has its local office in La Cochera, which is managed by Mr. Regis Nicolas and Mr. Raul Aranda. This local office organizes activities for members of this region. The same happens in Barcelona, where due to the fact that the Club is older (the first club was named Mercedes-Benz Club of Catalonia), the number of members is larger. Besides, in many capitals of province, such as Zaragoza, Seville, there are numerous groups of members, which organize outstanding activities. The Club organizes most of its activities at a cultural and gastronomical level. Overall, the number of activities amounts from 8 to 12 per year. There is always an activity of general interest for all the members to participate. Among them, go-kart competitions are quite remarkable, as they are especially attractive for the younger members and for the members’ children. These competitions are both organized in Madrid and Barcelona. The Club also participates in different relevant fairs and motor shows, such as Auto Retro in Barcelona and Retromóvil in Madrid. The Club depends on the Spanish affiliate brand Daimler España, whose headquarters are based in Madrid. It’s also integrated in the association Mercedes-Benz Classic Car Club International GmbH, based in Mercedes-Benz Museum in Stuttgart. The Club also benefits from being a member of the Spanish Federation of Vintage Automobiles (FEVA) and it takes part in its board of directors. FEVA is the Spanish association of the Federation Internacionale de Vehicles Anciens (FIVA), an international organization of a well-known reliability and whose level of representation equals to FIA (Fédération International de l’Automobile). 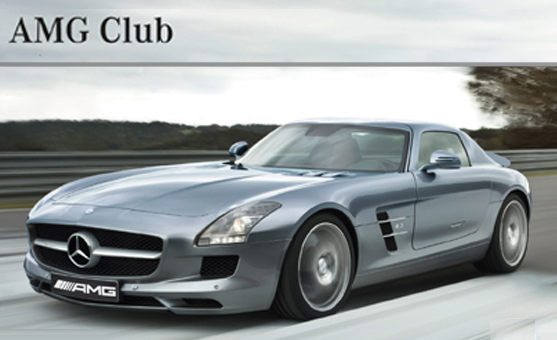 Through the ClubCard, our members can access the web www.mercedes-benz-clubs.com. The members can also log in www.mercedes-benz.es, where they will find all the different possibilities to buy a new or old vehicle, Mercedes-Benz guaranteed.